Originally from Northern Ireland, Carline’s passion for racing has taken her around the world working in the industry that she loves. As a vet, Caroline has worked in Ireland, England and the Hunter Valley, before settling in north-east Victoria where, together with her husband Russell Osborne, they own and manage Riverbank Farm in Benalla. They standing three stallions including the exciting Redente. 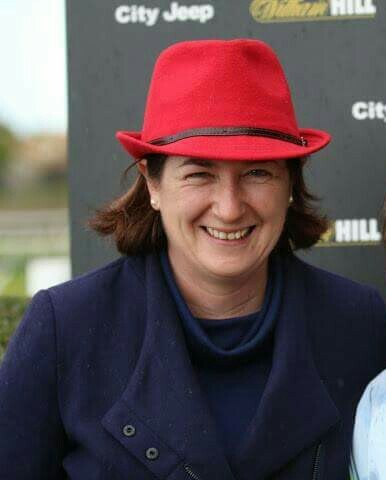 Caroline has the unique ability to represent a broad range of participants in the industry through her involvement as a broodmare owner, a stallion owner, a racehorse owner and a vet. During her veterinary career, Caroline has worked at some of the leading equine hospitals in Australia, servicing many prominent stud farms. She ha approximately 400 broodmares under her care including multiple group winners and producers. Her vision is to make Victoria the premier destination for thoroughbred breeding by strengthening the VOBIS scheme to encourage high quality stallions and increasing the incentives for broodmare owners to breed to Victorian based sires.